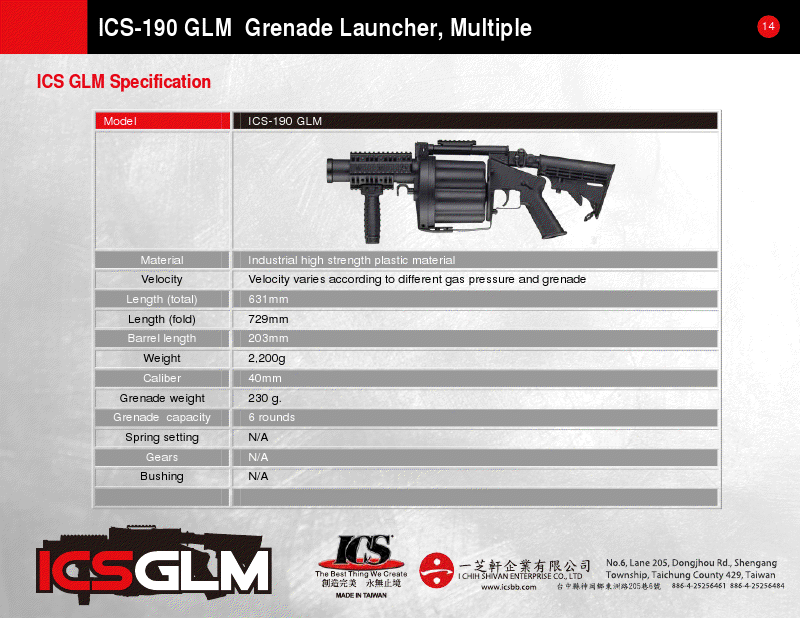 Hi Arnie & Arniesairsoft, Here is the exiting news for you. 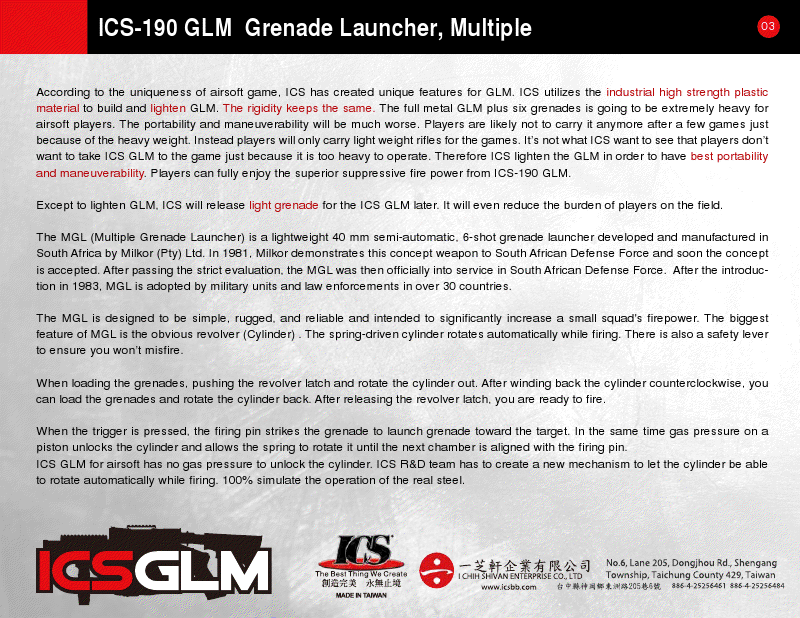 ICS officially announce ICS-190 GLM. 2. 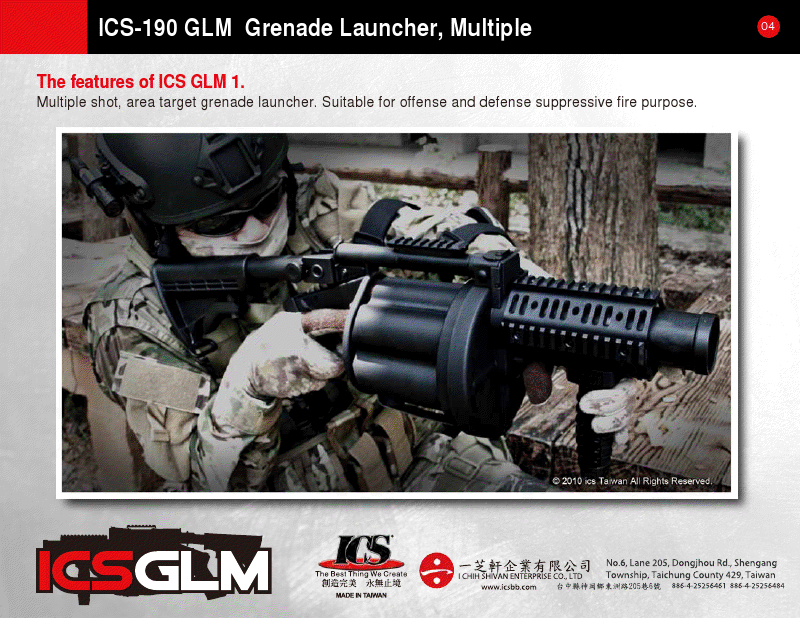 Multiple shot, area target grenade launcher. 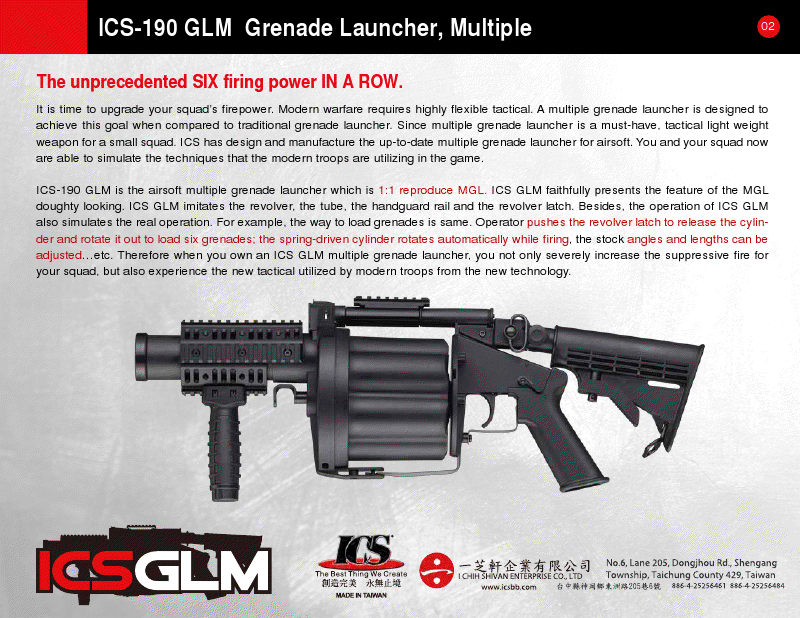 Suitable for offense and defense suppressive fire purpose. 3. 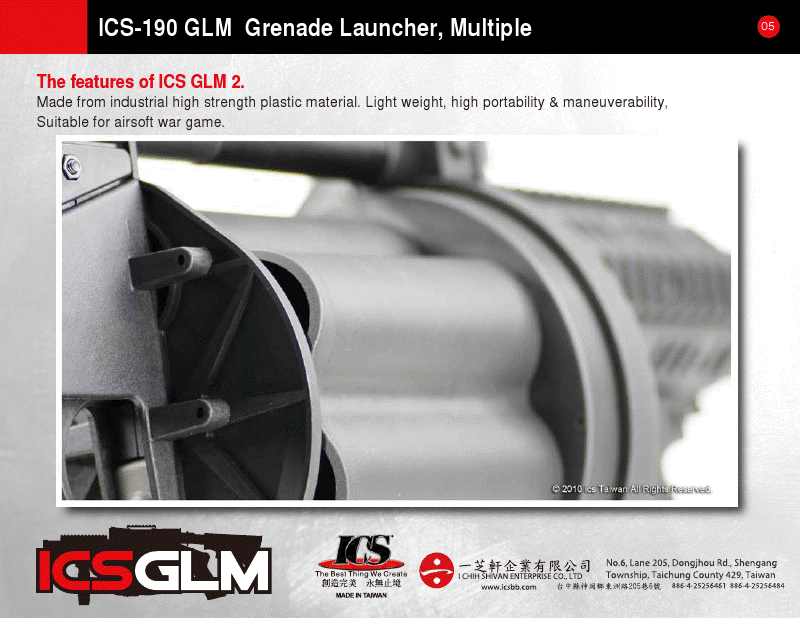 Made from industrial high strength plastic material. 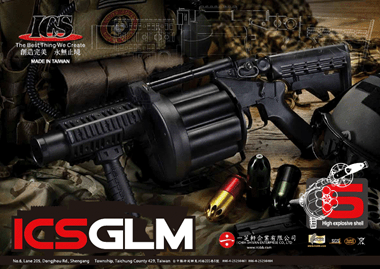 Light weight, high portability & manoeuvrability, Suitable for airsoft war game. 4. Reproduce the revolver structure. The operation is same to real steel. 5. 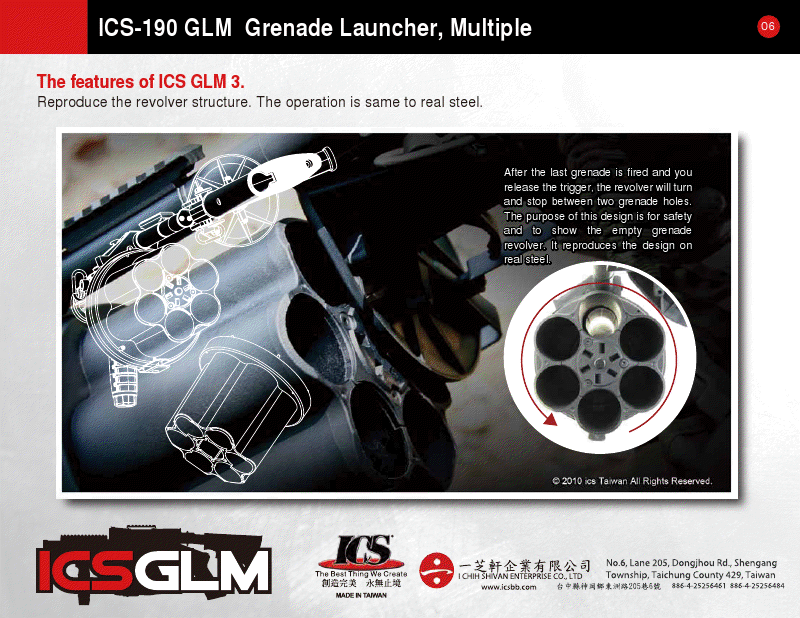 ICS GLM equips a M1913 quad rails handguard. 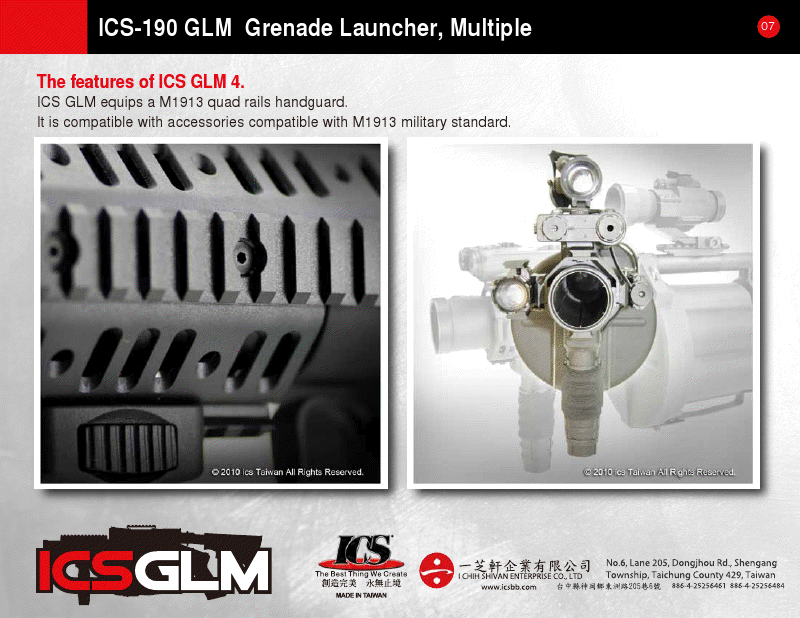 It is compatible with accessories compatible with M1913 military standard. 6. 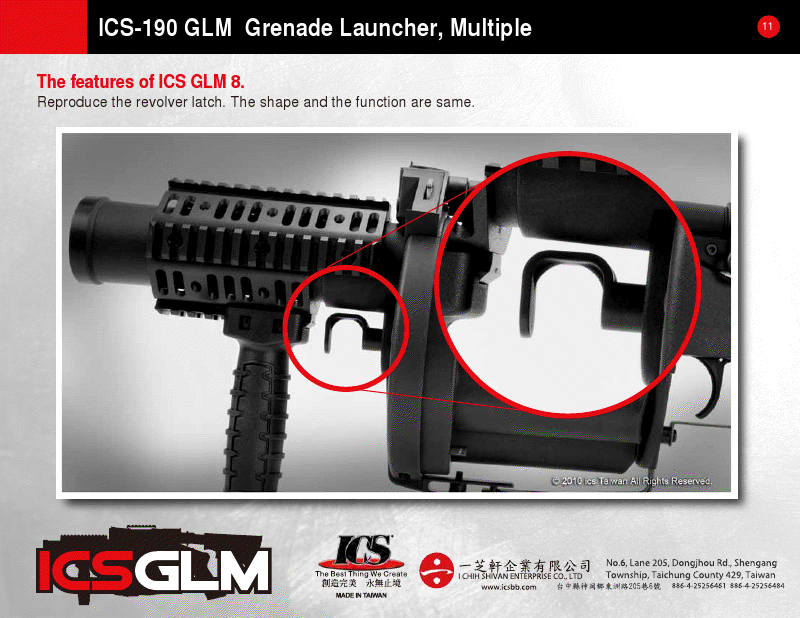 The stock can adjust 6 lengths and 3 angles. 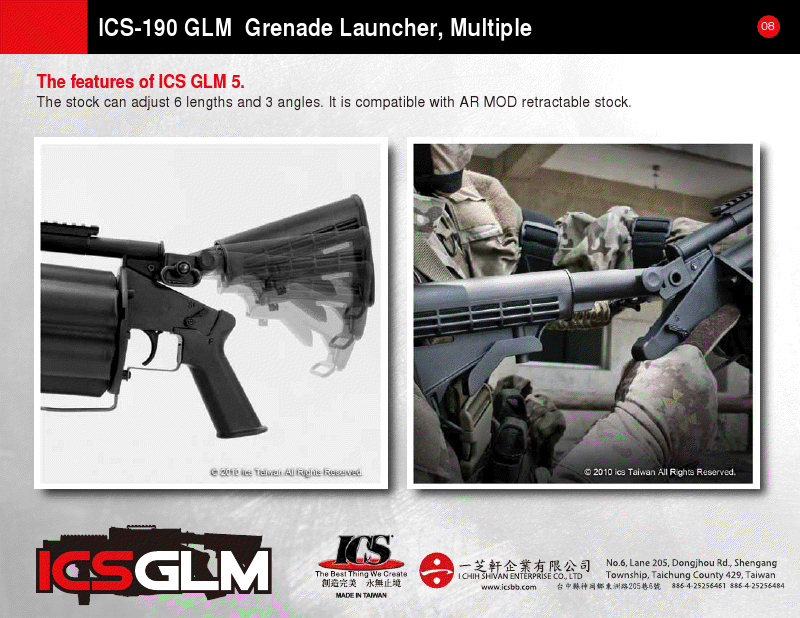 It is compatible with AR MOD retractable stock. 7. 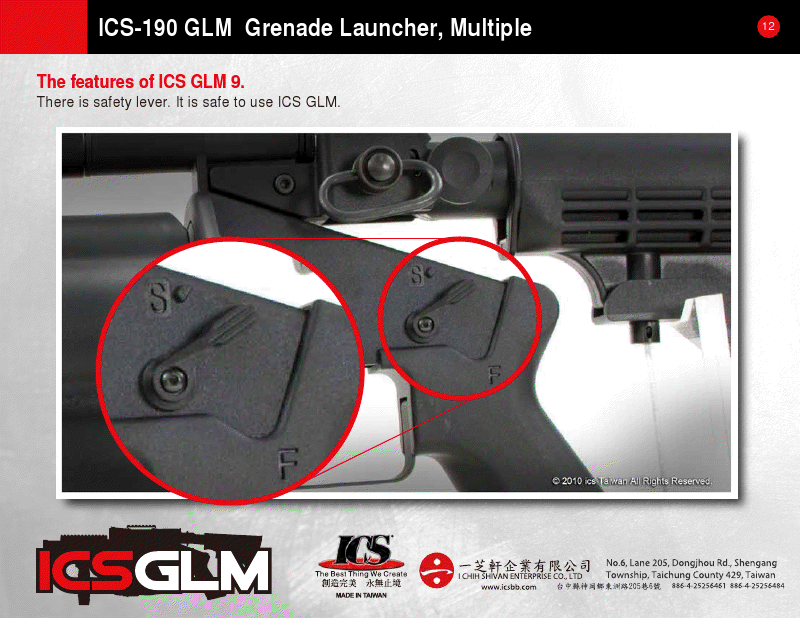 ICS GLM comes with a quick slide on grip. Push one button to adjust the position or slide on/off. 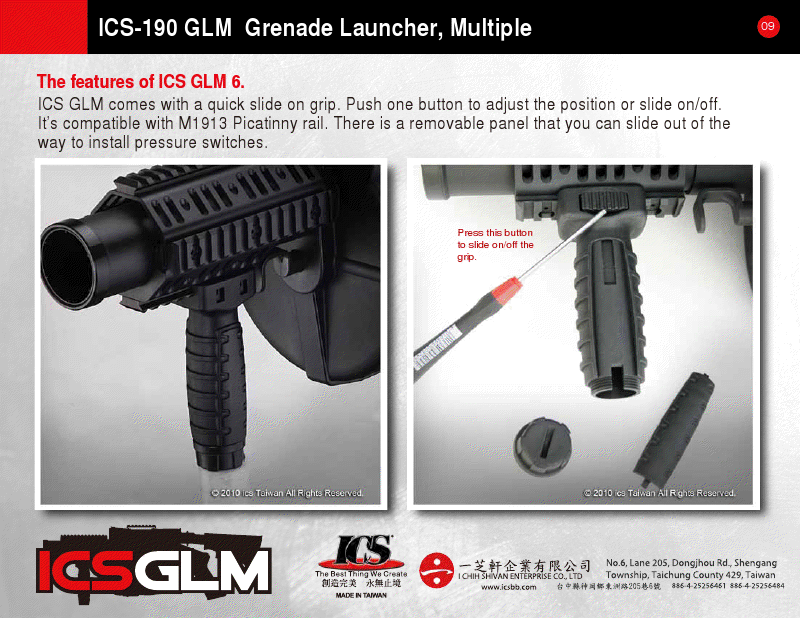 It’s compatible with M1913 Picatinny rail. There is a removable panel that you can slide out of the way to install pressure switches. 8. 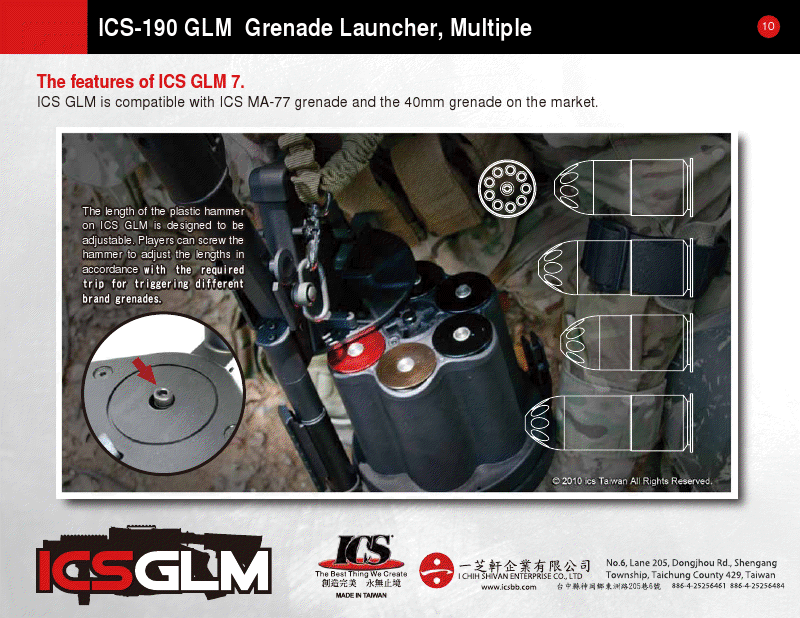 ICS GLM is compatible with ICS MA-77 grenade and the 40mm grenade on the market. 9. 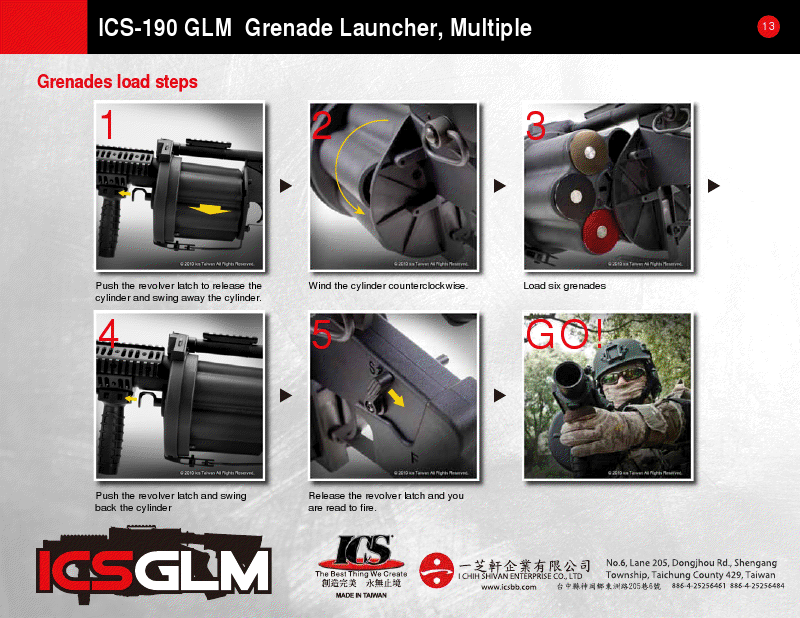 Reproduce the revolver latch. The shape and the function are same. 10. There is safety lever. 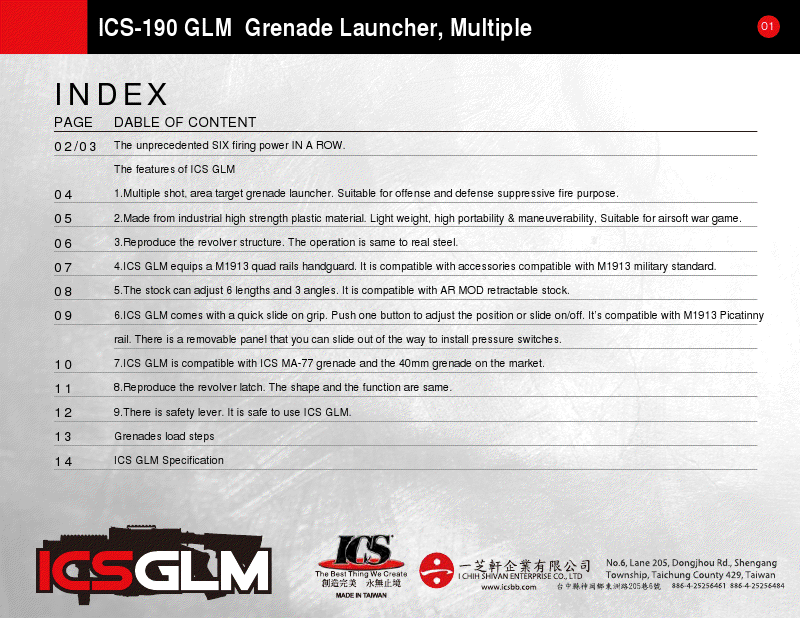 It is safe to use ICS GLM.